The RYOBI 18V ONE+ System features over 125 unique products, giving you the ultimate in versatility and selection to get the job done. 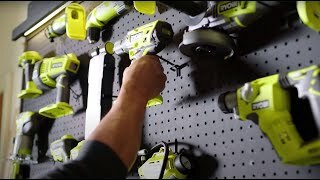 With cordless lithium-ion technology, RYOBI can power you through all types of projects from drilling, driving, cutting, and fastening, to lighting, plumbing, cooling, and rocking, to trimming, edging, mowing, and clearing – and so much more. Best of all, RYOBI has never changed – and will never change – the 18V ONE+ battery platform, meaning our newest products & batteries fit the original RYOBI tools and batteries from 1996. No matter your interests or skill level, we can power it. From household tasks to the jobsite to recreation and everything in between, there is a ONE+ product for you. 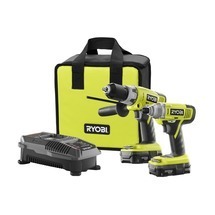 RYOBI ONE+ is the system that delivers more.